By now it has become common knowledge that the majority of North Americans do not like purchasing diesel wagons with manual transmissions. That’s why manufacturers don’t sell them here. On the other hand, over the years we have proved that we like our sedans, minivans, and crossovers, and on occasion, coupes. Apart from the obvious downside of having a two-door vehicle, the fact of the matter is that coupes don’t sell very well, especially when compared to their four-door brethren. 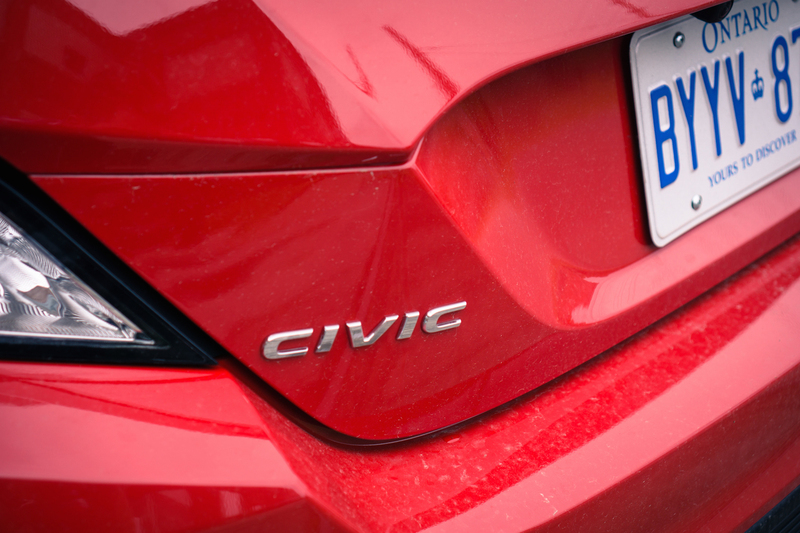 From the 23,000 Honda Civics sold this past May, Civic Sedans outsold Civic Coupes by 3-to-1. This begs the question; does a Civic Coupe with a slick manual transmission still belong in this gentrified market? 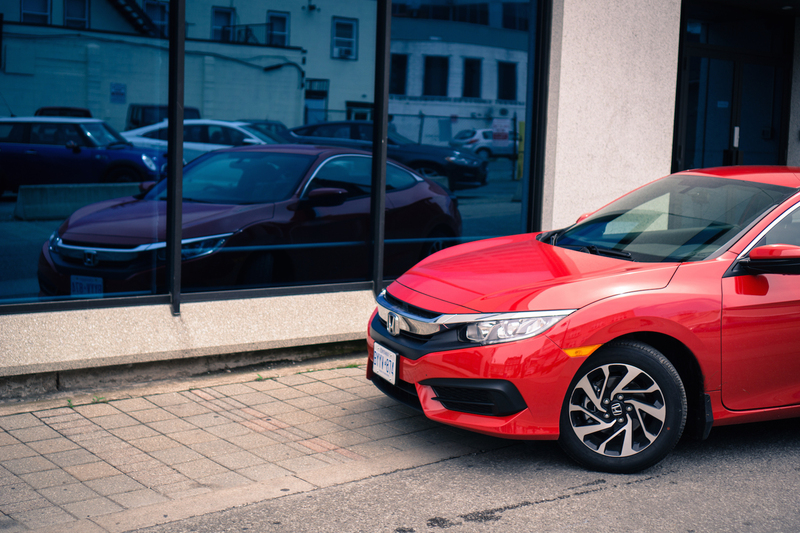 The 10th generation Civic Coupe is part of an endangered species, threatened by Honda’s own CR-Vs that are on the brink of outselling even the bread and butter sedan. 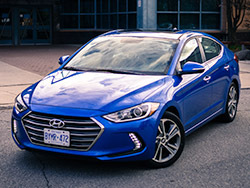 Hyundai seems to think it was time to get rid of the Elantra Coupe in anticipation of the new generation of Elantra. The now defunct Scion tC suffered a similar fate, and who knows what will happen to the Kia Forte Koup. In the front-wheel drive compact market, two-doors are a dime a dozen. You won’t be able to find a real competitor for the Civic Coupe without looking at three- or five-door hatchbacks. One may ask, why does Honda even bother? How do they make the most of the situation at hand? Well, one way is by making the most of an already fantastic platform. 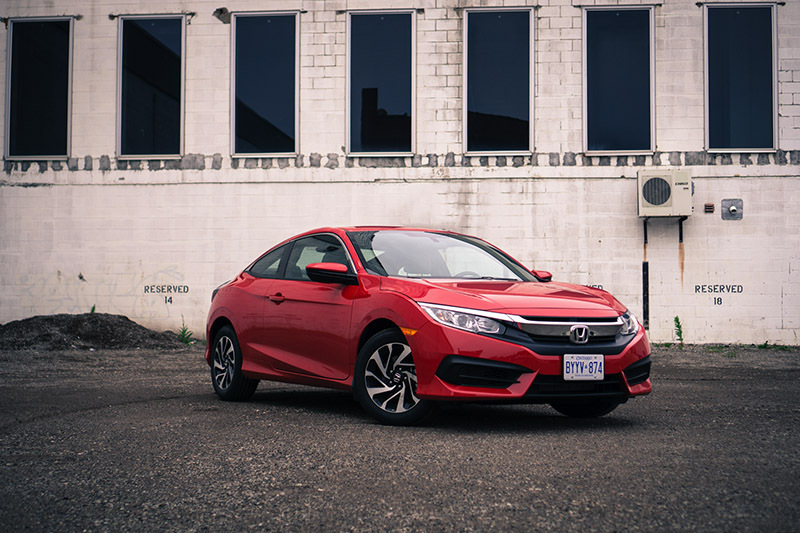 Fundamentally a Civic Sedan with two doors removed, the Coupe capitalizes on all the same advantages that are ever present in the four-door. 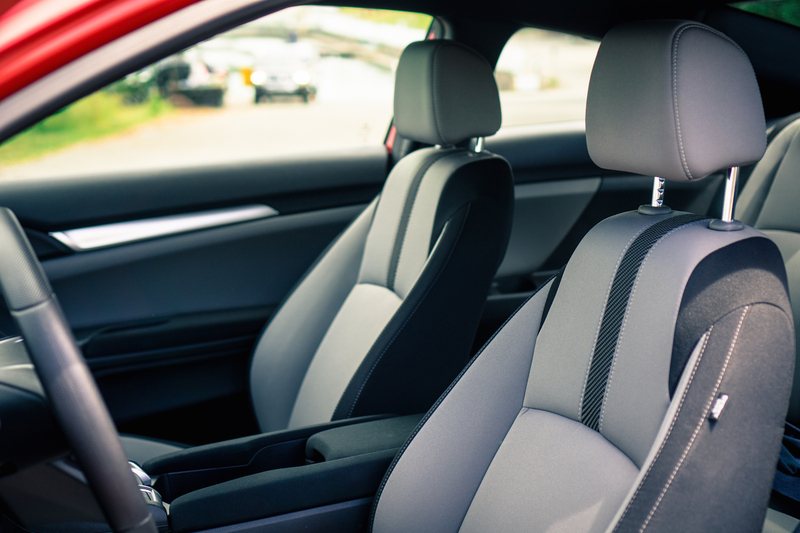 Minus the minimized headroom in the rear, the interior is just as comfortable. 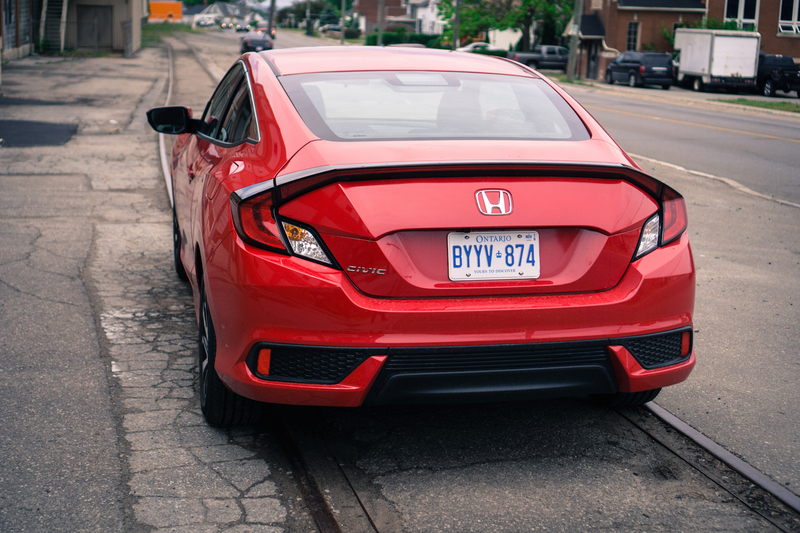 It rides an inch lower than the sedan but the altered stance does give the Civic a hunkered down look, hinting to its sporty nature. From the base LX trim to the most expensive Touring model, the Civic Coupe is the obvious choice for those looking for an affordable yet stylish mode of transportation, that is, before we get our hands on a new Civic Si or Type R.
Under the hood of my LX tester was the 2.0-litre naturally aspirated four-cylinder engine paired with a 6-speed manual transmission. A CVT is available as well if you feel so inclined. Making a decent 158 horsepower and 138 lb-ft of torque, the LX engine averaged a very respectable 7.7 L/100km over my test week. Compared to the 1.5L turbo motor found in the higher trim models, the 2.0L is on the weaker side requiring a downshift or two before passing traffic. 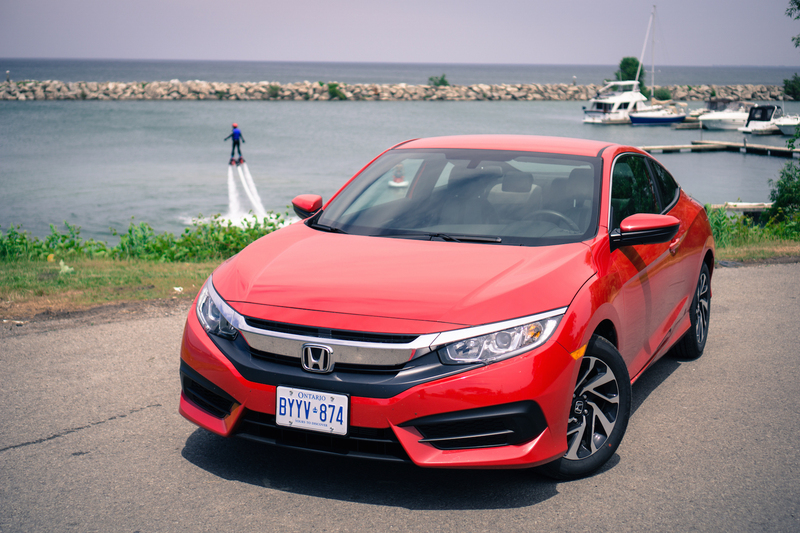 The higher trimmed Civics that feature the new 1.5L turbocharged motor are still stuck with the CVT transmission for now, which is a bit of a letdown considering the massive amounts of potential for a turbocharged manual-rowing rocket. 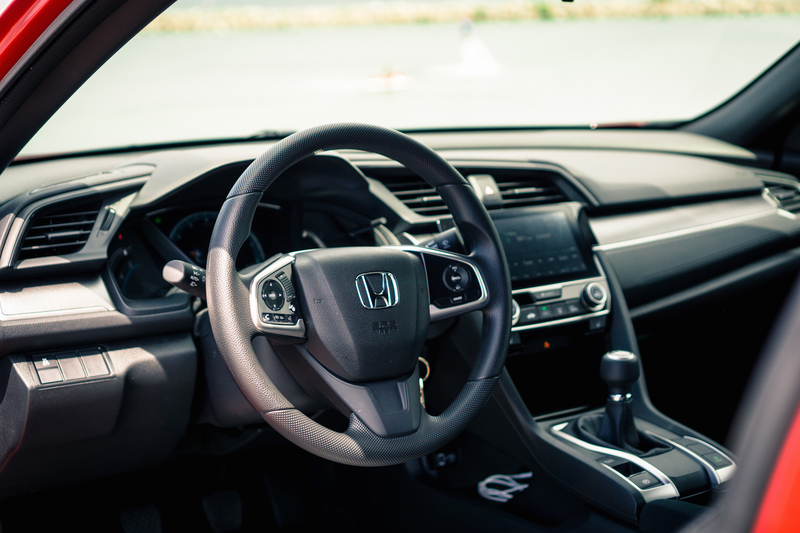 Although Honda has confirmed they will bring the manual transmission option one day, we just do not know exactly when that will happen. Nothing gets an enthusiast’s attention like when the words “Cheap, Turbo, and Manual” come into play. 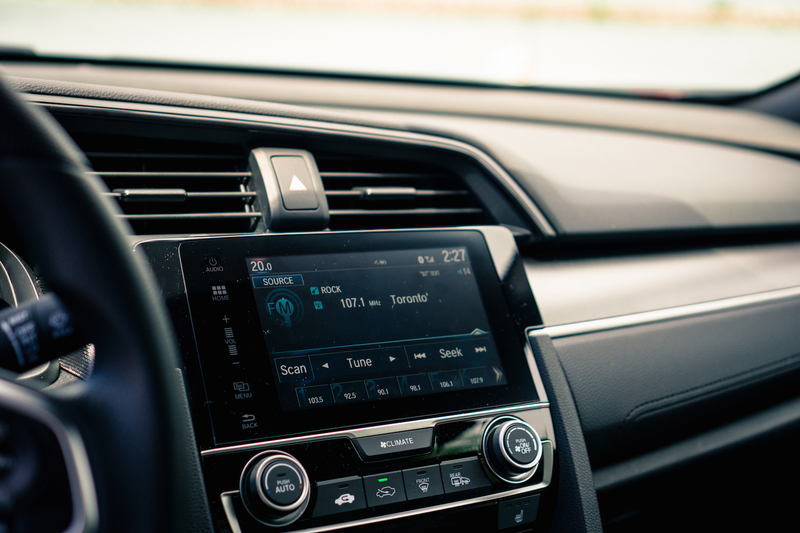 Looking at the outside of the vehicle, the Civic Coupe shares the same basic footprint as the Civic Sedan, but that did not stop Honda from giving the two-door its own unique look. The most altered portion of the exterior is the profile change from the front doors to the back end. 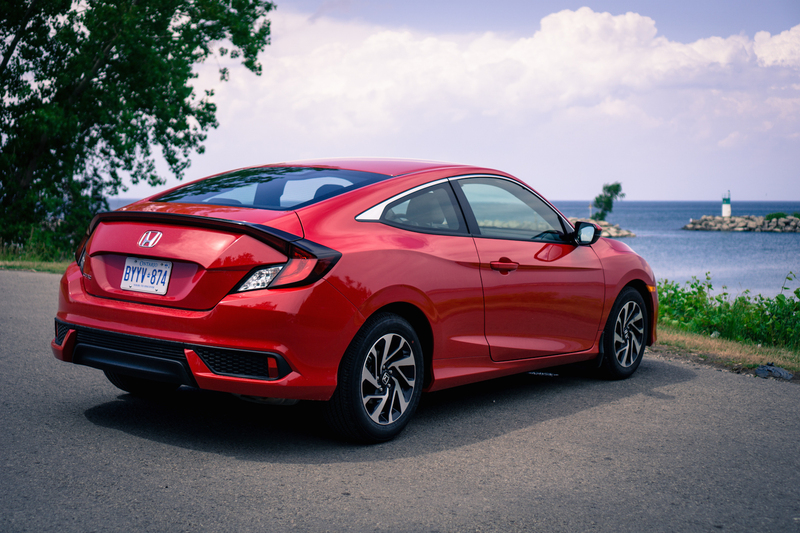 Where the Sedan’s trunk lines protrude upwards, the Coupe’s has a sloping decklid that is finished off with a visually pleasing edge-to-edge rear brake light bar. It is clear that Honda was looking to produce a two-door that maintained the new Civic’s unique styling cues while essentially borrowing from the larger Accord Coupe. 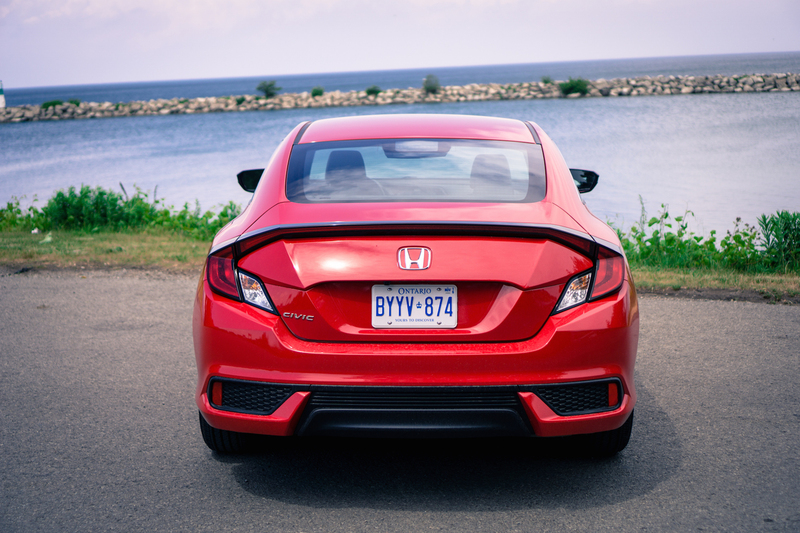 From certain angles the car reminds us of the 8th generation Civic’s rounded bum, but in other angles we are not quite sure if the entire package works. 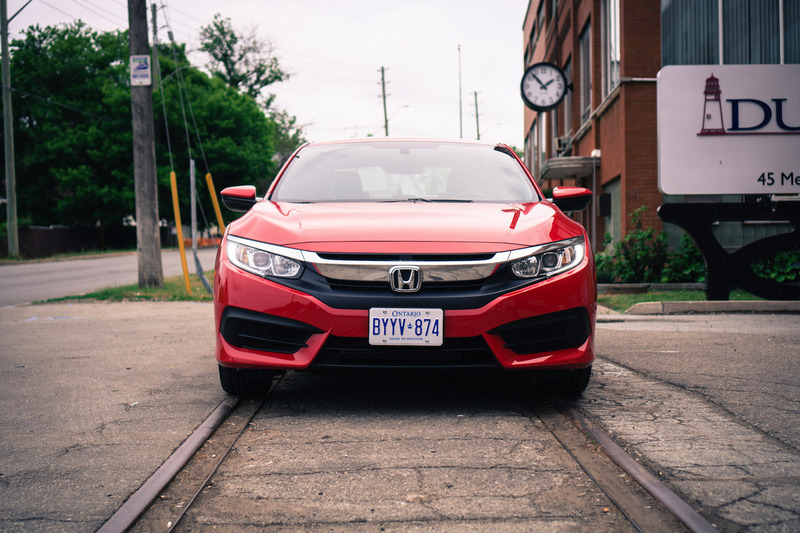 Around the Greater Toronto Area I found the Civic Coupe to be quite easy to drive. The super light clutch that has no real “friction zone” that you can physically feel with your foot. Have no fear though! 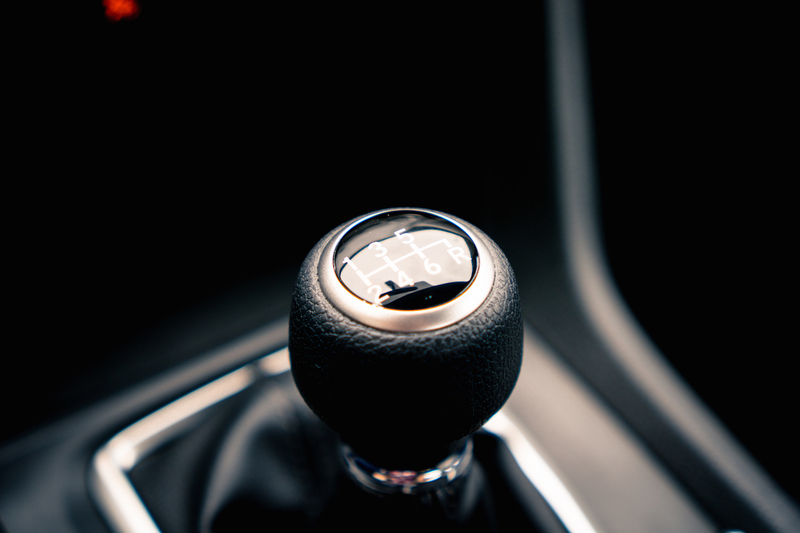 Memorizing the right point at which the clutch engages only takes a few minutes of practice before nailing perfectly. 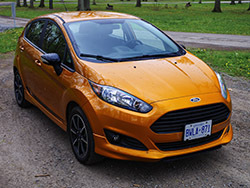 The Coupe’s handling was superb, on par with other dynamic compacts like the Mazda3 and new Hyundai Elantra. Steering is a bit different compared to the Sedan as well. The Coupe abandons some of that lighter and less playful feel for a better-weighted and more dynamically oriented experience. In a world where CR-Vs, RAV4s, Rogues, and Equinoxs are widespread, surprisingly there is still room for a compact coupe. 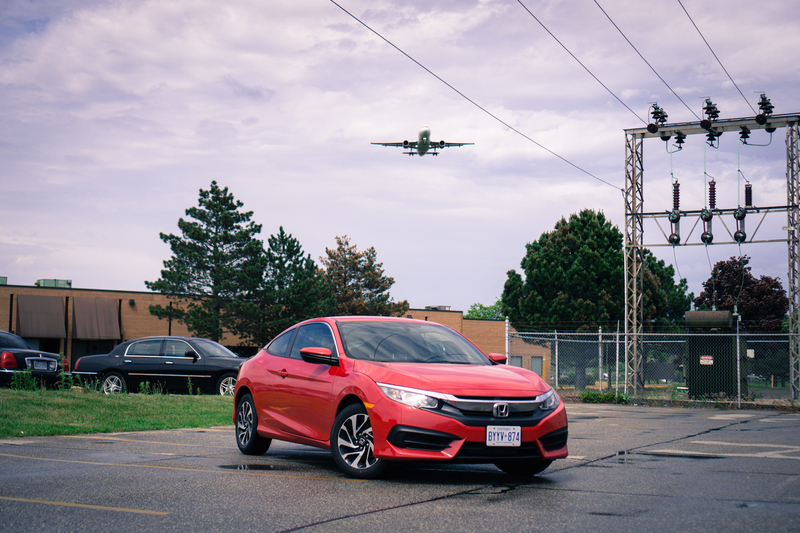 Functionally, the Civic Coupe won’t bring you the practicality of a Golf hatchback or a Civic Sedan, but it can still manage to put a smile on the user’s face while downshifting one of the nicest manual transmissions you can find in any modern day car, not to mention, at an affordable price. 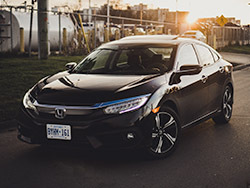 Enthusiasts looking to get into a sport oriented coupe without having to put up their house as collateral will likely find the Civic Coupe LX to be a bargain, starting at just under $20,000. 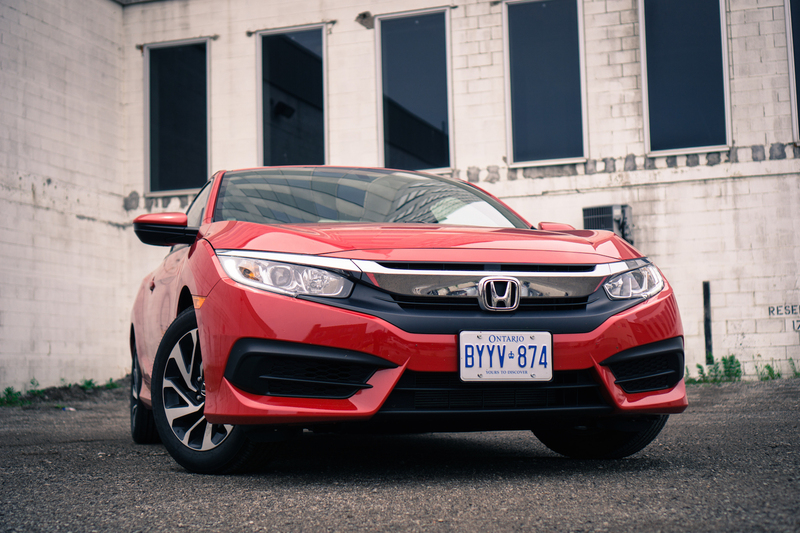 The looks might not tickle everyone’s fancy, but it certainly doesn’t get in the way of the Civic Coupe delivering a rock solid driving experience.